DEEPLY has been designed for mature lips - this rich conditioning lip balm contains rosehip oil and evening oil of primrose which both contain essential fatty acids and Omega 6. These actively combat the appearance of fine lines and wrinkles and relieve dry skin. 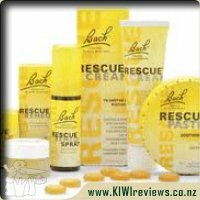 I suffer extremely dry lips at the best of times and am known to have lip balms here, there and everywhere! I was excited to start using the Twistick when it arrived! The first thing I noticed was its odd shape which has been mentioned in other reviews it does look like a mini deodorant. The thing that appeals most to be is that it is all natural. When I removed the lid I was hit by the strong smell of Lavender and I was a bit unsure about using it on my lips as I thought it could leave an odd taste but decided to go for it and I could not taste the Lavender at all. It pretty much instantly conditioned my lips and the dry skin around my mouth vanished overnight. 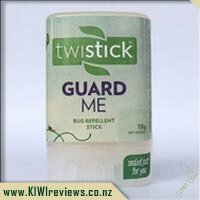 Although the cost of $12 is more than I would usually spend on a lip balm I would purchase the Twistick again if I was sick or over the Winter months when my lips suffer painful cracking as it does really work! 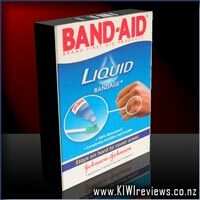 The fact that is also made here in New Zealand is another huge advantage for me. Another advantage is the Twistick was not easily moved by little hands so has a bigger chance of surviving the wrath of my toddler! 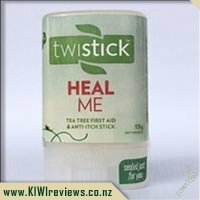 When I saw the Twistick products available for review I had a cold and as a result of sleeping with my mouth open (and getting old too I&apos;m sure) my lips were so dry they were bleeding. I wanted to try Kiss Me Deeply as this is the strongest of the three lip balms in the Twisticks range. Fortunately for me by the time I received my lip balm to review my cold was gone and my lips had healed. 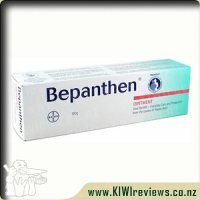 This did mean I am unable to review its effectiveness on bleeding lips. I have been using the lip balm at least twice a day for the last week. I find the shape of the stick very easy to hold and just the right width for my lips. This makes it so simple to apply to my lips. The transparent tube meant I could tell at a glance when I was running low, which is particularly important if you are buying online. There is enough space allowed between the lid and the tube that you don&apos;t need to twist the balm up and down each time you use it. I have waste lots of lip balm over the years because I got the product crushed in the lid. I love the feeling of the balm on my lips. It leaves them feeling soft for hours. I haven&apos;t had a problem with dry lips since I started using it. It is only a slight sheen that it leaves on my lips but as I don&apos;t wear make up this is perfect for me. I love that the ingredients are all natural as I&apos;m sure some it will be ingesting some of it as I eat. Being a New Zealand made product is a bonus too. Only time will tell if this balm will decrease the aging lines around my lips. I would be delighted if that miracle happened. 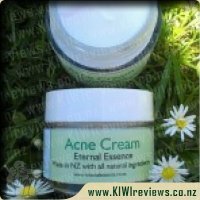 I am just pleased that I have found a natural product that saves me from dry sore lips.It is much bigger than other lip balms so it should last a fair while and make it cost effective. I noticed that this lip balm was available for review and since I always have dry lips even in summer I thought this would be a good thing to try, I saw it said that it was over 3 times the amount of standard lip balm which would make it last longer. First thing I noticed when it arrived was that the shape of the tube was almost like it was a mini deodorant stick (just what it reminded me of) and then when I opened to smell it I found that there is no fragrance and I was kind of doubting my choice to review this product.... but I thought I would give it a go and see if this was just another lip balm or if it lived up to the claims. First few times I used it I found the smell a bit too strong and was almost put off the product, I hardly had to use any as it was great, left my lips feeling soft and smooth. 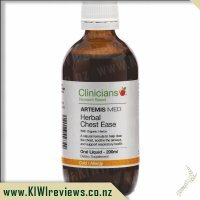 I forgot to put this into my pocket one morning and I could feel the difference, my lips felt a lot drier and not as nice by the evening. The price I felt was a bit high but when I remembered that the standard price is about $3 then it is not that expensive but still not sure I would be happy paying that much for lip balm. 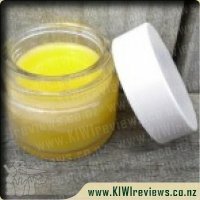 I found that overall it is not that much different to standard lip balms, it smells a bit more natural but my lips still feel the same as if I was using standard lip balms. I would buy this again but only if the tube lasts a lot longer than the standard lip balms but after a few days I can&apos;t comment on how long it will last and for this reason I have given a lower personal choice score.